Insulin is secreted from the pancreas whenever we eat any food that contains sugar—so basically that includes all carbohydrates. While most people only associate Insulin with sugar and weight gain, it also has an important role in building muscle. Insulin is considered one of the most anabolic, or muscle building, hormones in the body, so it is rather important when it comes to putting on any lean muscle. However, too much insulin will cause you to gain excess fat. After you eat, blood glucose rises and insulin is released to control blood glucose levels, ensuring a normal level is reached. Once insulin is released, it goes to work by clearing the blood of sugar and delivering it directly to the muscles to help reload glycogen. However, the muscles have a limited capacity for sugar or glucose storage. Once the muscles’ glycogen stores are full, glucose is shuttled directly to adipose or fat tissue for storage. With that being said, there are also a few supplements that you may want to consider to enhance blood sugar control and insulin levels throughout the day. Alpha Lipoic Acid: This potent antioxidant is considered an insulin mimicker, which means it mimics the action of insulin in the body. ALA has been found to activate multiple pathways involved in transport of glucose into muscle cells but also cell signaling that leads to muscle growth, improved insulin sensitivity of the cells and increased glycogen storage capacity! You can find ALA in many post-workout supplements to increase glycogen re-loading, but also nutrient uptake by the muscles. That said, you can also supplement it on its own. Try 500 mg to 800 mg of ALA with your post-workout meal. Gymnema Slyvestre: This plant has been shown to help improve glucose control, delay blood glucose uptake, but also improve insulin’s action by increasing insulin sensitivity. It can also improve the muscle’s ability to synthesize glycogen. An effective dose is 200 to 250 mg taken twice daily. Fenugreek Extract: This plant extract, also known as 4-Hydroxyisoleucine has been found to be very effective for regulating blood glucose levels while also increasing glycogen storage capacity in the muscle cells. In one study performed with cyclists, muscle glycogen re-synthesis significantly increased by 63% when a supplement of dextrose and 4-hydroxyisoleucine were taken post exercise versus just taking dextrose alone. Fenugreek Extract or 4-hydroxyisoleucine can be found added to post- and pre-workout powders to help drive nutrient uptake by the muscles, but it can also be supplemented on its own. 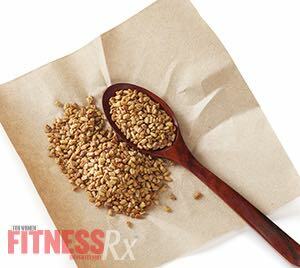 Try a post-workout dose of 500 mg of Fenugreek Extract or 4-Hydroxyisoleucine standardized to at least 60% saponins. Cinnamon Cassia Bark Extract: This spice that you probably add to your morning oatmeal can actually help control insulin and increase the rate of glucose removal from the blood. 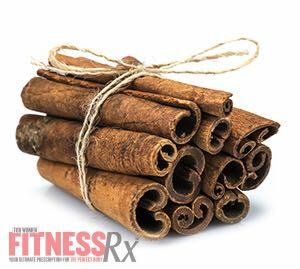 Considered an insulin mimicker, cinnamon has been shown to increase glucose uptake by activating the GLUT-4 receptor responsible for glucose uptake on muscle cells. Cinnamon has also been shown to have a few other positive health benefits including decreasing LDL or bad cholesterol, and increasing HDL or good cholesterol. Although adding cinnamon to your food can help, research supports the use of a 4:1 extract of Cinnamon Cassia Bark to elicit the kind of results found in research. 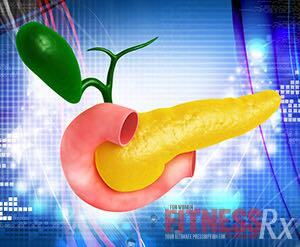 Chromium: This micro-mineral can have some serious benefits when it comes to controlling insulin. Chromium can help aid in carbohydrate metabolism, enhance insulin receptor activity and even increase the pancreases sensitivity to glucose levels in the blood. Chromium has also been found to increase the number of insulin receptors and support insulin signaling reducing the risk of insulin resistance. Chromium can be found in post-workout supplements, often combined with ALA, or in your daily multi-vitamin. A common dose of Chromium is 200 mcg per day. Baskaran K, et al. Antidiabetic effect of a leaf extract from Gymnema sylvestre in non-insulin-dependent diabetes mellitus patients. J Ethnopharmacol. 1990. 30(3): 295-300. Chen G, et al. Chromium activates glucose transporter 4 trafficking and enhancing insulin-stimulated glucose transport in 3T3-L1 adipocytes via a cholesterol-dependent mechanism. Mol Endocrinol. 2006. 20(4): 857-70. Davis PA, Yokoyama W. Cinnamon intake lowers fasting blood glucose: meta-analysis. J Med Food. 2011: 1-6. Jacob S, et al. Thioctic acid-effects on insulin sensitivity and glucose metabolism. Biofactors. 1999. 10(2-3): 169-74. Konrad D, Somwar R, Sweeney G, Yaworsky K, Hayashi M, Ramlal T, et al. The antihyperglycemic drug alpha-lipoic acid stimulates glucose uptake via both GLUT4 translocation and GLUT4 activation: potential role of p38 mitogen-activated protein kinase in GLUT4 activation. Diabetes 2001. 50 (6):1464-71. Lee WJ, Song KH, Koh EH, Won JC, Kim HS, Park HS, et al. Alpha-lipoic acid increases insulin sensitivity by activating AMPK in skeletal muscle. Biochem Biophys Res Commun 2005. 332(3):885-91. Pattar GR, Tackett L, Liu P, Elmendorf JS. Chromium picolinate positively influences the glucose transporter system via affecting cholesterol homeostasis in adipocytes cultured under hyperglycemic diabetic conditions. Mutat Res 2006;610:93-100. Ruby BC, Gaskill SE, Slivka D, Harger SG. The addition of fenugreek extract (Trigonella foenum-graceum) to glucose feeding increases muscle glycogen resynthesis after exercise. Amino Acids. 2005. 28(1): 71-6. Shanmgasundaram ER, et al. Use of Gymnema sylvestre leaf extract in the control of blood glucose in insulin-dependent diabetes mellitus. J Ethnopharmacol. 1990. 30(3): 281-94. Slivka D, Cuddy J, Hailes W, Harger S, Ruby B. Glycogen resynthesis and exercise performance with the addition of fenugreek extract (4-hydroxyisoleucine) to post-exercise carbohydrate feeding. Amino Acids. 2008. 35(2): 439-44.